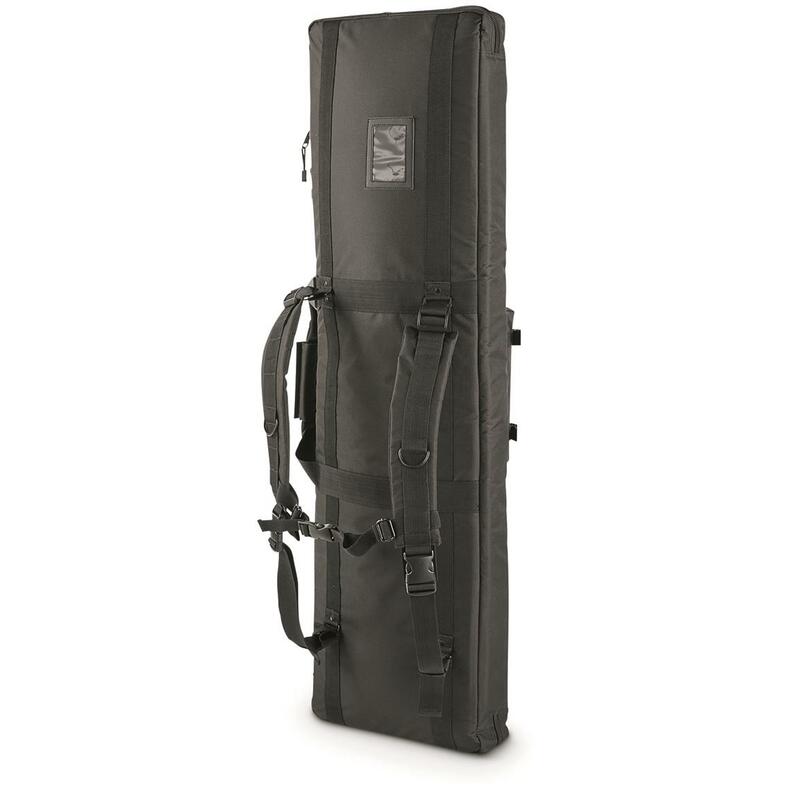 This roomy Rifle Case protects your prized gear. 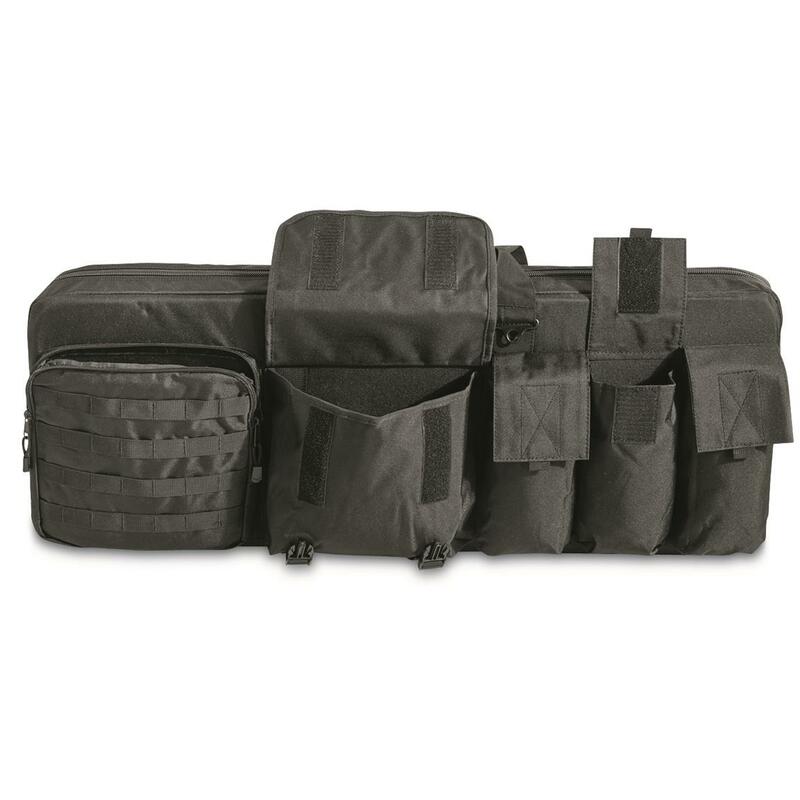 Easily totes 3 long rifles, with zippered exterior pockets to accommodate 2 or more handguns, ammo, mags and more. 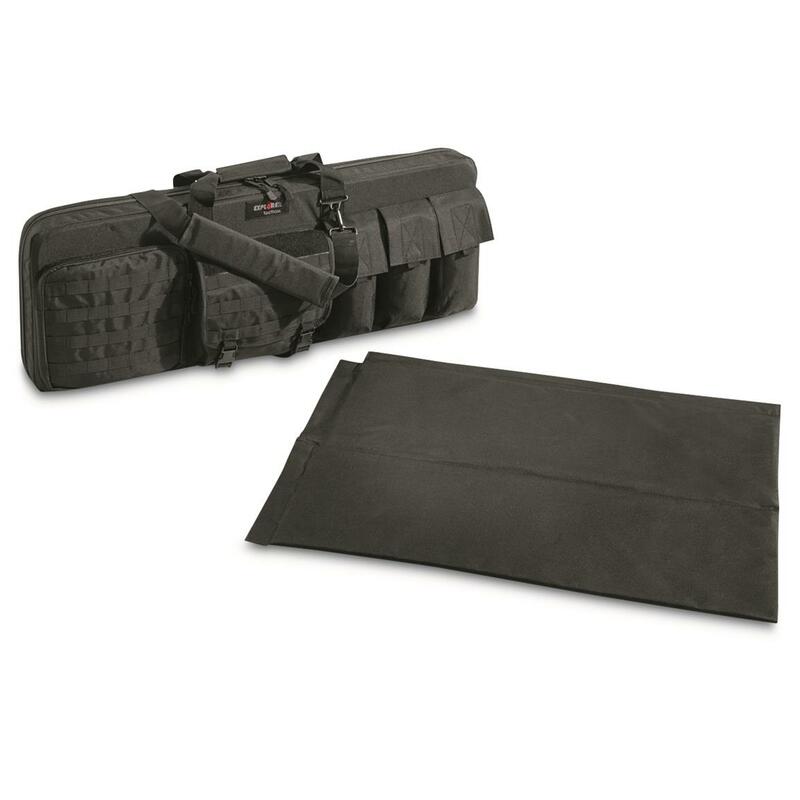 Features a removable, padded inner sleeve that folds out to become a 7' shooting mat. 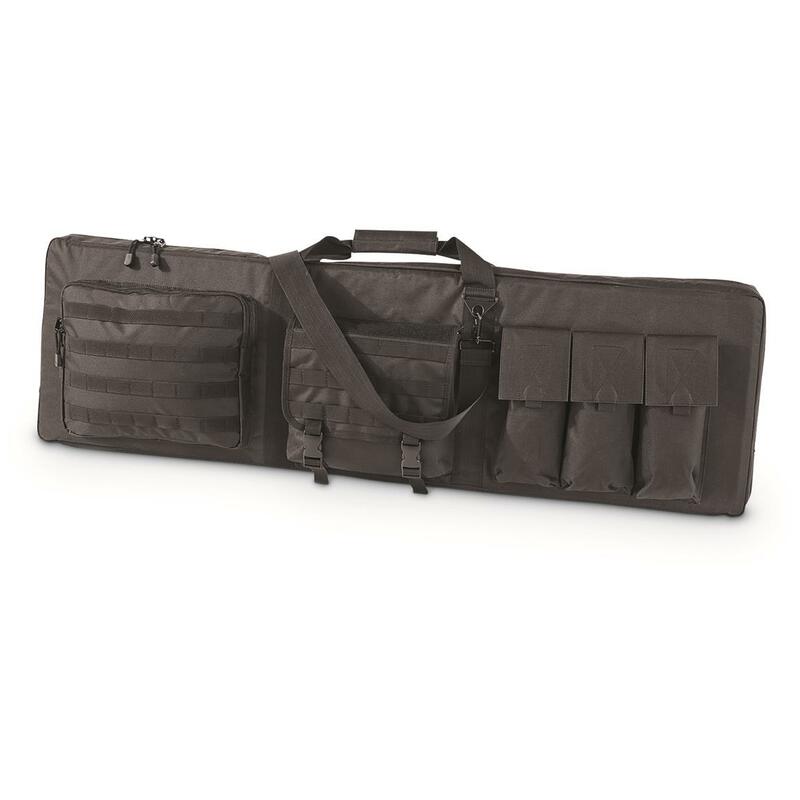 Carry your rifles, pistols and mags all in one Case Order now! 36" Case interior dimensions: 34" x 13". Inner sleeve is 31" x 12"
46" Case interior dimensions: 44" x 13". Inner sleeve is 41" x 12"
52" Case interior dimensions: 50" x 13". 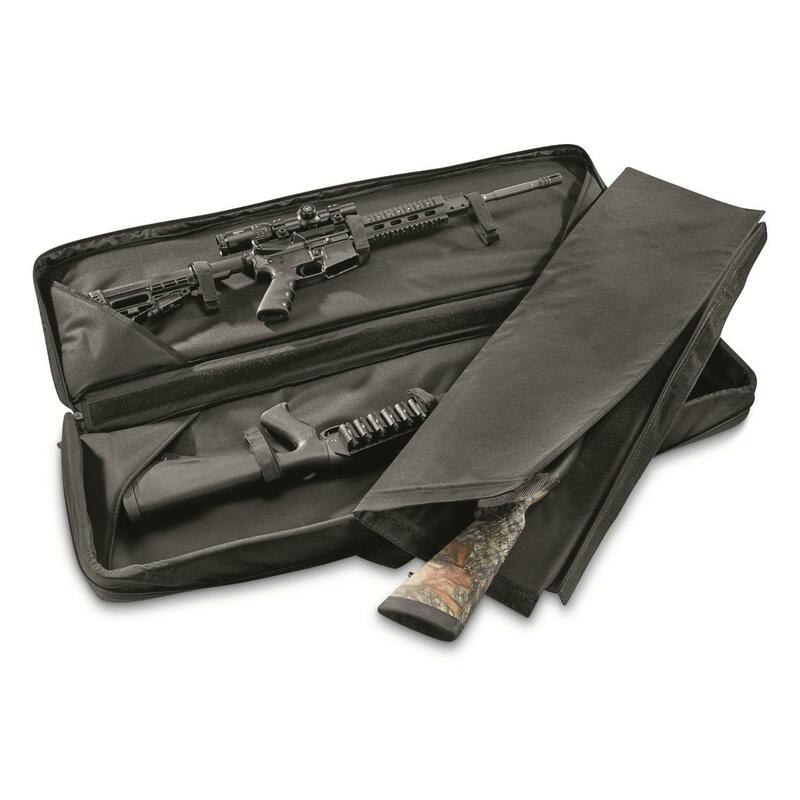 Inner sleeve is 47" x 12"
3 Gun Rifle Case with Fold Out Shooting Mat is rated 4.5 out of 5 by 66. Rated 5 out of 5 by Harry from Price was reasonable Will fit my needs well.Heavy Duty build , just a bit on heavy weight size.The shoulder straps come in handy. Rated 5 out of 5 by controller from Product is exactly as ordered and very accomadating for what I need. Would suggest this product to anybody, very well made. Rated 4 out of 5 by Mike from Strong case I purchased this case to carry 2 Ruger percision Rifles. They fit snug with the bolds still inserted. They also have folded bipods giving extra width. There is no way to fit a 3rd gun. The zipper and material seem to be well made. There are also a good number of pockets around the outside. Again with the bolts inverted in the firearms these pockets are tight. Rated 5 out of 5 by wisper from The right size, The right price This fits my long barrel Remington 700 w/scope and bipod and one AR15. Plenty of pockets for my dope kit and several boxes of ammo. The back pack straps are a little tight but fit good. So far all stitching and zippers are holding up. Rated 5 out of 5 by bolew from I just want to say that the two rifle case I bought was a perfect addition for my accessories. Everything that was said about it was on point, I couldn't have been more pleased with this purchase, no more lugging around separate pieces.